Biomass CHP is the simultaneous generation of multiple forms of useful energy (usually mechanical and thermal) in a single, integrated system using biomass wastes. Biomass conversion technologies transform a variety of wastes into heat, electricity and biofuels by employing a host of strategies. Conversion routes are generally thermochemical or biochemical, but may also include chemical and physical. Physical methods are frequently employed for size reduction of biomass wastes but may also be used to aggregate and densify small particles into pellets or briquettes. Biomass fuels are typically used most efficiently and beneficially when generating both power and heat through a Combined Heat and Power (or Cogeneration) system. 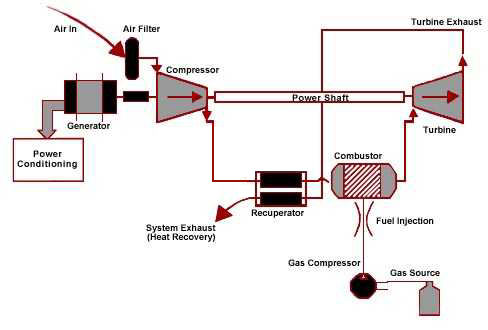 Biomass CHP systems consist of a number of individual components—prime mover (heat engine), generator, heat recovery, and electrical interconnection—configured into an integrated whole. The type of equipment that drives the overall system (i.e., the prime mover) typically identifies the CHP unit. Prime movers for CHP units include reciprocating engines, combustion or gas turbines, steam turbines, microturbines, and fuel cells. These prime movers are capable of burning a variety of fuels, including natural gas, coal, oil, and alternative fuels to produce shaft power or mechanical energy. The most popular forms of biomass for generating electricity and heat are residues. Residues are the organic byproducts of food, fiber, and forest production, such as sawdust, rice husks, wheat straw, corn stalks, and sugarcane bagasse. Forest residues and wood wastes represent a large potential resource for energy production and include forest residues, forest thinnings, and primary mill residues. Energy crops are perennial grasses and trees grown through traditional agricultural practices that are produced primarily to be used as feedstocks for energy generation, e.g. miscanthus, hybrid poplars, hybrid willows, and switchgrass. Animal manure can be digested anaerobically to produce biogas in large agricultural farms and dairies.